The most recent technology of Eddy Covariance systems has been successfully installed for the first time in the center of Heraklion. 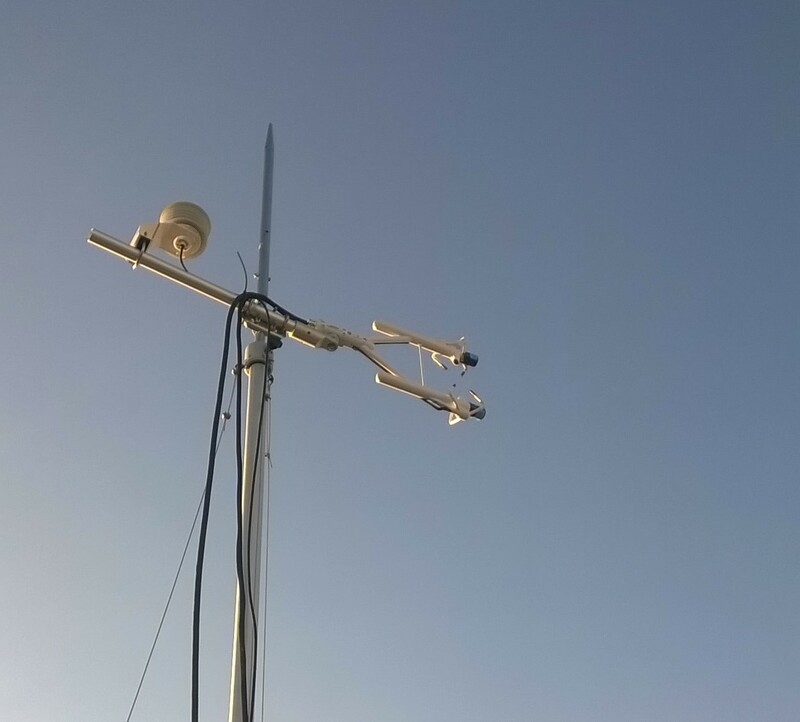 The IRGASON is a new Eddy Covariance analyzer that has an infrared gas analyzer (IRGA) and 3D sonic (SON) anemometer combined into a single sensor. The Eddy Covariance method uses the turbulent transport theory in the surface layer of the atmosphere, and estimates gas and energy fluxes from the covariance between vertical wind speed and the gas concentration at a measured height above the surface. With eddy covariance, the exchange of various gases and energy between the atmosphere and the underlying surface can be measured. In URBANFLUXES, we will focus on the latent and sensible heat fluxes, however, the CO2 fluxes for the center of the city will be also a very interesting outcome. 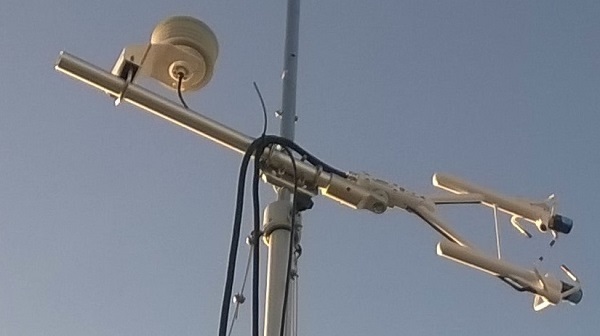 The IRGASON system has been mounted on a telescopic 10 meter mast that is installed on the roof of a high building at Kornarou square in Heraklion. This place is located in the center of Heraklion, right in the heart of the tourist and shopping activities. The Kornarou square and the neighboring areas are usually crowded with lots of people and heavy traffic during the rush hours. 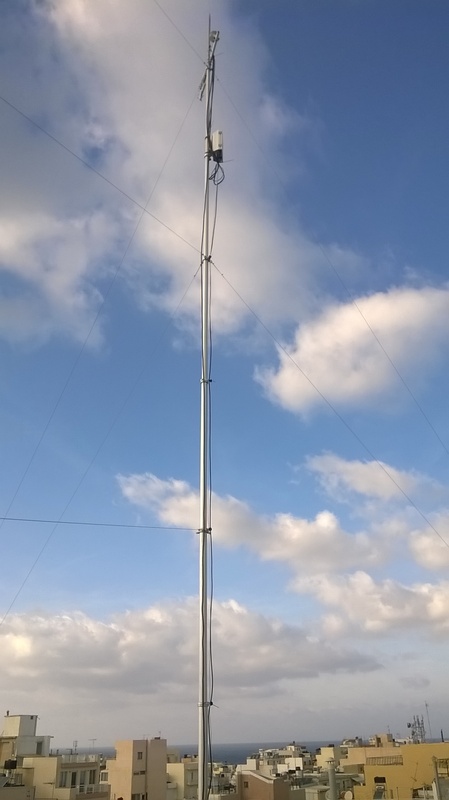 The IRGASON system has been installed at the appropriate height over the urban canopy layer in order to reach the blending height and measure a blended, spatially averaged signal that is representative of an area around the sensor that is estimated to reach 50 hectares, that is nearly the whole city center. 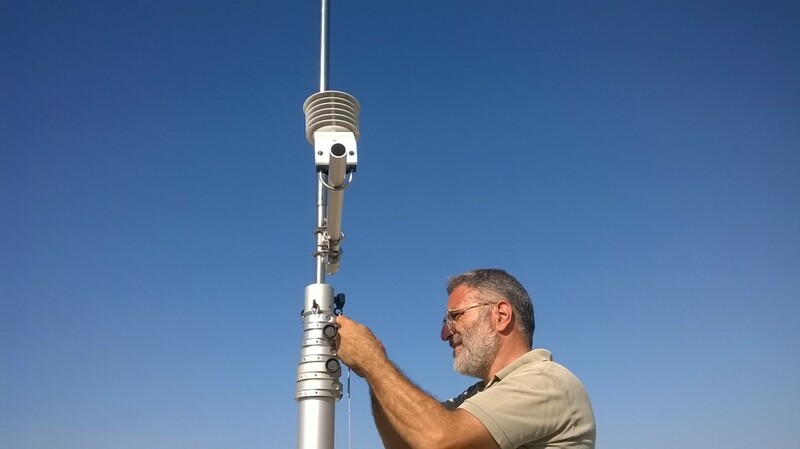 It is the first time that such system is installed in an urban area like Heraklion and all the URBANFLUXES team is looking forward to see the first results. The experiment has just begun, the installation was successful and we have the first set of measurements. Now it remains to complete a sufficient time-series of measurements in order to be able to evaluate the results and get into the most interesting part, that is the processing and the interpretation of the collected data. All the news and interesting updates regarding the Eddy Covariance measurements and other URBANFLUXES activities will be also published in our twitter or google+ accounts.